Best Sites to Play Free Games Online: We all love playing games as it helps us get out of our bad moods, daylong tiredness, etc. We all get a lot entertained by playing free online games. 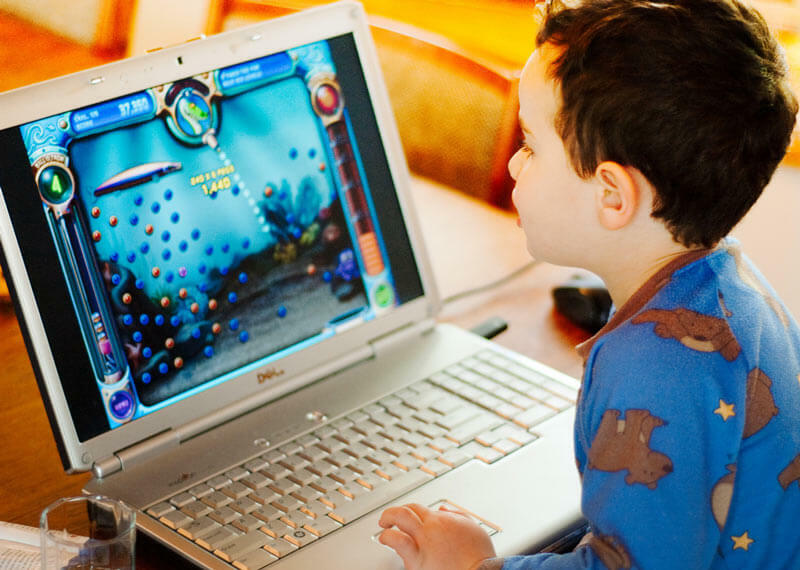 Online games are very popular among students, young teenagers, etc. There are two kinds of game: Online games and Offline games. But, everyone can’t afford each and every offline game due to various reasons like space problem, system requirements, etc. But, that’s not the case in online games at all. You get a lot of categories to play free games online from, for example, action games, arcade games, fighting games, sports games, strategy games, shooting games, etc. The online world is filled with thousands of online games, which you guys can’t miss and you should definitely check out these free online games to play. So keeping that in mind, today I am presenting to you guys some best gaming sites to play free games online right now. Play free games online at your own convince and pace. So, go ahead and follow up our below list and start having some great fun. Miniclip has been around since 2001, and the players get amazing experience on it. You can get to play free games online on Miniclip. It’s available in English, Hindi, Spanish, and French, etc. As you see Miniclip offers so many languages so that everyone can play free online games comfortably without any problems. It even offers downloadable mobile games, such as Rail Rush, Flip Diving, iStunt 2, etc. So, you can also play it on mobile anytime anywhere. The most popular games on Miniclip are 8 Ball Pool, Snowfight.io, Diep.io, Flip Diving, and the list goes on. Even the registration is optional, but still, we recommend you to register and play as not only its free but after registration since it offers you various features that will surely interest you. In Addicting Games, you will find seriously amazing free games to play online. And Addicting games claim “They reach over 10 million unique users that are per month”. We can surely believe this statement as the site has such an amazing collection of free online games to play now. You can find games of categories like sports, action, funny, etc. It even offers a chance to independent growing game developers to submit their game for the site and get it featured there. It even has the section of “MOST ADDICTING GAMES,” where it features games like Escape The Prison, Sniper Team 2, Bubble Spinner and Clicker Heroes, etc. So many free online games to play! You can even get to play awesome free online multiplayer games and through which you can get to meet new players around the globe and interact with them. So, it has some great offers for you. So, go ahead and register right now as it’s totally free to register, and get to play free games online. The registration is optional. Pogo is an online gaming site where you can play free games online. This site has been around since September 1, 1999, and it’s owned by Electronic Arts. This site is very popular among the users/players. This site also offers classic games from famous brands like Hasbro. Examples of such games are BOGGLE Bash, BATTLESHIP, Scrabble, and various other free games to play online. This site supports various platforms, such as iPad, Chrome Web Store, Android, iPhone, and it also has a Facebook app using which you can play it online inside Facebook also. You can challenge your friends, check leaderboards and achievements. Pogo site has a very great and eye catching design. This site is very popular in the Unites States as it has got various categories to play from, including Puzzle games, Board games, Card games, Word games, etc. Some of the recommended games which you must try out on Pogo are Poppit, Bejeweled 2 Slots, Bingo Luau, Plants vs. Zombies, etc. There are other games also which you can check under the see more section of the recommended games category. Go ahead and play free games online! In Pogo, you can get to play all kinds of free online games, and you will also get to know many other new categories, which may interest you and can get you addicted. So, whatever your interest is, it doesn’t matter. Just go up and register on Pogo.com totally free of cost today. It has everything for everyone! On registering up on site, you will get 10,000 tokens for free, and you can also earn them by playing free online games on the site, which you can redeem later also through the site. You also get to take part in draws and earn some cool prizes and surprises. This all sound so much exciting! Have fun to play free games online on the site. Also, have fun meeting new friends in the chat rooms! So, you see it offers you so much! Kongregate is an online site to play free games online at free of cost at your pace. This site was officially made public on October 10, 2006. Since then, it has grown a lot regarding players. Kongregate is also a mobile game publisher, so it’s also known for its amazing and cool downloadable games. Kongregate has a very great history, and it has come across a long way. So, it deserves all the success! Anyways, in this web gaming portal, you can get thousands of popular categories games, which includes action games, sports & racing games, strategy & defense games, etc. See so many categories so you can always play free games online without getting bored. It even gives a chance to growing game developers to promote their game on the site. Users can play free games online and review and rate the games on the site and can also search games based on reviews and user ratings of the game creator. So, you see it’s so much popular among countries! The registration is free and optional, but If you do so you can submit the scores you have created, and then you can earn achievement badges too. You will also be able to challenge your friends and will also be able to interact with your friends by getting access to forums and chat rooms. So, what are you waiting for? This is a great site and has thousands of great free games to play online. So, register and play free games online and show the world your gaming skills! Armor Games is an online gaming portal site where you can get to play free games online. Armor Games was founded on by Daniel McNeely in March 2004. Armor Games is based in Irvine, California. So, you may be thinking what’s so special about this site? Well, every week dozens of new play free online games get added on the site. The games are from popular categories like action, adventure, arcade, shooting, strategy, puzzle and skill, sports, etc. So, it cares for you and keeps uploading fresh content to keep it’s users entertained all the time. So, you will always have ­various play free games online. The site also has a very great user and responsive interface. It also has a category of Popular Games, under which as of now, it lists games – League of Angels, Realm Grinder, Star Trek: Alien Domain, etc. The great thing about this site is that you can get to know the main information about any game, like how it’s going among users, etc. on the site without digging deep into the page information. It displays the information on its own. So, you can choose which free game to play online. So, to do this, just hover your mouse pointer to any game’s title, and then you will see a small box which will contain the basic information of the game including the Player Rating, Number of Plays, Release Date, the game type with a short description of the game. On Armor Games, you can also find features like Game of the Day. If you take a more closer look on the site, you can find an area which makes this site unique from other online gaming sites, that is the Game News section. Keep checking this section to play free games online. Under the Game News section, you can get to read the latest happenings/news on the site. Under Latest News section, you can get to know the game release news, upcoming games release dates. There also a category under it called “Office Life” and “Fun,” under which you can know the happenings in the Office of Armor Games, while also get entertained by reading articles under the Fun category, and so on. Isn’t this amazing? On Armor Games, you can also comment and chat with other payers discussing the games, quests, etc. You can also unlock Quests by following their instructions given under each Quest and earning yourself badges. There are also Contests held on the site, where you can play and win prizes. Just go ahead and play free games online on the site now! The site also features a leader board of top players by rank which is based on a number of quests and AG Points. This site is also known and is popular for it’s amazing game called Sushi Cat! So, it offers so many cool features! Go and register yourself now on Armor Games and play free games online! As the name suggests, this site has the collection of so many categories of games, that we cannot imagine. The site is available in many languages including English, Hindi, Chinese, French, etc. This site can keep you entertained for hours. Whatever you age is, this site has got all the stuff you need. It includes 3D games, Adventure games, Defense games, Driving games, etc. This list is so big that you will yourself be shocked to see so many game categories under one site. Like others, this site also gives you the opportunity to submit your game if you are a game developer. This site also gives you feature for adding games to your own website, but remember to read the Terms and Conditions very carefully before doing any such act. It also has two popular sections, so it’s easy for you to search and play free games online. 1) Most Played Games: In this section, you will get to see the most popular games on the site. Under this section, you can find some popular games like TU 95, Connect 2, Sim Taxi, Five Fights At Freddy’s, and the list goes on to play free games online. 2) Top Rated Games: This section on the site features the top rated games by the users/players on the site. Under this section, you can find some top rated games like Think Tanks, Vortex Wars, Bloons Tower Defense 3, The Dominator Cup, and the list goes on like this. So, go and complete your registration now on FOG, as it’s completely free and then you can play free games online. After that, you can get access to other things also, like you can make new friends on chat rooms, get your favorite list, view your history, etc. Yes, we are talking about our favorite TV channel Nickelodeon. It has also got a site called Nick.com. This site was launched in October 1995, by Nickelodeon (Viacom). Now, this site is a collection of some cool stuff under one roof. Not only you get to play free games online, but you also get video and radio streaming, you can also watch your favorite episodes online. The site is very interactive, and the design is just mind-blowing. You will love the way it has been designed! It quickly responds to your every click, and the loading speed is just superb! It has got two sections mainly – New Games & Top Games. In these two sections, you can get to see games like Block Party 3, Ultimate Hero Clash 2, Racing Stars, Super Brawl World, and so much more! Just head over to the site and check for yourself to play free games online. The unique thing is how these guys have made our favorite channel characters like Spongebob Squarepants, Teenage Mutant Ninja Turtles, Power Rangers, get added into games of different categories, for example: action games, adventure games, card games, funny games, and more. They have some magic in their games. Go and check out for yourself, you will love their game designs and will surely get a different experience from all the other play free online games sites out there. Salute To Nick.com! This site is just an amazing piece of work! It’s creative originals are just amazing and are worth checking out. Though this site doesn’t have any registration option, but you can still indulge in the discussion of the various games, such as Ultimate Drag Racer, Raft Wars 2, Stunt Driver, Mutant Fighting Cup by commenting down in the comment box which is located at the end of every game page.You can easily login with your Facebook id and start the discussion. If you take your mouse pointer to any game, then the icon changes and a small box appears in which you can find a short description of the game. Then you can decide to click or not! The games also have an option for likes and dislikes, which all the players can put, and it gets counted. So, it gives you total freedom to play free online games on it’s site. Check it for yourself! This site also has it’s own G+ and Facebook Page, which you must check out. Now, talking about categories, you can find action games, airplane games, animal games, arcade games, etc. The good thing is that these subcategories are arranged in alphabetic order wise on the site, so it’s easy to find the category of games easily according to your mood. If you have any ideas, suggestions or complaints, then you can also contact them, by heading over to their contact page on their site. A friendly site to play free online games! Have you heard these slogans before, “Everything, By Everyone & The Problems Of The Future Today!? Yes, we are talking about the online entertainment portal Newgrounds. This is a very popular site in the United States. This site not only offers you free online games to play, but it also offers you movies, audios, Arts, a forum, etc. This is a full entertainment site, it has has got some great play free games online, which you can check out anytime whenever you are feeling bored and need to lift up your bad mood!. This site offers everyone a chance to create! Yes, you can be a creator and upload your creations: Your games, animations, audio, art or other projects. Depends totally on you. But, remember you should hold the right to the content you uploading. It should strictly belong to you. Before uploading, we recommend you to check the rules page on the Newgrounds site. You can also check the author any creation and the date and time it has been uploaded. So, go and register now, If you don’t want to Sign up straightaway and want some quick and easy step as you may forget your password or you may be lazy, then you can register with your G+ or your Facebook ID. After that, users can play free games online and can give their reviews and ratings through the comments. The users can interact and chat with other members on forums; they can check their own feeds, they can upload their own created creations, etc. Even when you load up the site, you get to see the Latest News. Isn’t it amazing? It will keep you updated with the happenings on the site, and you never when your creation can get hit on the site! So, go ahead and register yourself now to play free games online! This is an entertaining online gaming site for most of the age groups. The greatest thing about this site is that it avoids popup ads, which many times appear suddenly in between the game. So, you can enjoy the greatest and latest games on the site. A great feature on the site is the “Crazy Monkey Games Newsletter,” which is free to register for everyone. So, If you register for this newsletter, you will get some great stuff, which includes news of Crazy Monkey Games, it also features some amazing contests which have great rewards. You will also find letters from users, etc. The site has a different table which features the top 15 rated games on the site. The table includes games such as Raze, Thing Thing Arena 3, Pandemic 2, etc. If you have any problem in clearing up any level in any game, then you can go up to Guides page available on the site, and you can check out the walkthrough, cheats for the game. This page will help you to play free games online easily without much problem. Even If you are having problem in loading up the game, then this site has a very good page for this problem titled “Games Not Working?”. This page will feature you different solutions for different situation problems occurring on the site. The site claims that it has a friendly staff environment and mostly everyone gets a reply from them, If the users contact them through their contact form. So, If you have to say anything about any play free games online of the site, just contact and message them. Crazy Monkey Games works on the best and quality server so that you won’t face any problem. So, now just go up on this site and play free games online on fast loading web pages. This all sounds so great! Just go up and start surfing the site right away to play free games online! Coming to the conclusion now, On the internet, you can find many different sites to play free games online. But the sites which we have presented to you guys are the best online gaming sites which can help you play free online games in 2017. There are many other sites also. There are many other sites also. It was actually a bit hard for us to choose the top sites. But, after a lot of research, we selected these 10 sites. These sites were chosen based on their popularity. So, now you guys have to do just some things before going and start playing your games for free online. First, of all share this article, so it can help your bored friends, relatives, and family members. Second, you guys can comment down If you have any site in mind which you think are also popular like the sites listed above and can entertain you by play free games online, then let us know. You can even share your thoughts and experiences you have spent on any of this site. So, just let us know in the comments box and start to play free games online. Well miniclip is my favorite site since years and have been playing games there all time. Will surely try checking other sites now. Playing game is the best way to pass our time. The site given in this blog is quite interesting and these sites have modern games which are liked by the generation. Thanks in ton for this info. Also accurate information is given about each and every site. Really enjoyed reading your writing.